IRA Financial Group & IRA Financial Trust Company, a leading financial technology self-directed IRA provider & custodian have experienced a surge in demand from investors seeking to use retirement funds to purchase Initial coin offerings (“ICOs”) and digital tokens. 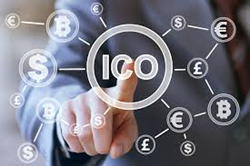 An I ICO, is a fundraising mechanism in which new projects sell their underlying crypto tokens in exchange for bitcoin and ether. It's somewhat similar to an Initial Public Offering in which investors purchase shares of a company. “A growing number of self-directed IRA investors are looking to take advantage of the tax benefits of using retirement funds to purchase ICOs,” stated Adam Bergman, President of the IRA Financial Trust Company. IRA Financial Group & IRA Financial Trust Company’s self directed IRA ICO platform with wallet control will allow retirement account holders to ivest in cryptocurrencies and ICOs and generate tax-deferred or tax-free gains, in the case of a Roth IRA. The primary advantage of using a self-directed IRA to make ICO investments is that all income and gains associated with the IRA investment grow tax-deferred or tax-free in the case of a Roth IRA. IRA Financial Group & IRA Financial Trust Company has partnered to offer a total control private key Bitcoin IRA LLC platform for cryptocurrency and ICO investors. With IRA Financial Group’s private key bitcoin IRA solution, the retirement account holder have total control over his or her cryptocurrencies and ICO investments and can hold them through an exchange or via a digital or hardwallet. “IR Financial is one of only a handful of IRA custodians that allow their clients to use retirement funds to purchase cryptocurrencies and ICO,” stated Mr. Bergman. IRA Financial Group is the market's leading provider of self-directed retirement plans. IRA Financial Group has helped thousands of clients take back control over their retirement funds while gaining the ability to invest in almost any type of investment, including real estate without custodian consent. Adam Bergman, IRA Financial Group & IRA Financial Trust Company founder, has written seven books the topic of self-directed retirement plans, including, “How to Use Retirement Funds to Purchase Cryptocurrencies in a Nutshell, The Checkbook IRA”, “Going Solo,” Turning Retirement Funds into Start-Up Dreams, Solo 401(k) Plan in a Nutshell, Self-Directed IRA in a Nutshell, and in God We Trust in Roth We Prosper.